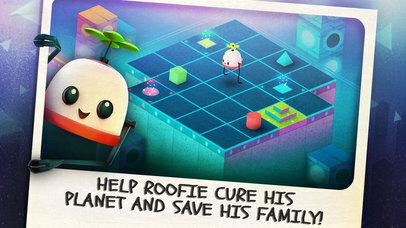 Roofbot: Puzzler On The Roof ($2.99) by Double Coconut LLC is a gorgeous puzzle game about a small robot who is just trying to cure the planet and save his family. If you enjoyed titles like A Good Snowman Is Hard To Build, Monument Valley, and even Maestria, then Roofbot is another fine gem to add to the ever-growing collection. As a gamer, I’ve gone through a rather large variety of games in my lifetime so far, but there is always one genre that I’ll always keep coming back to, and that is the good old classic puzzle game. That’s because even after a long day of work or school or whatever personal things I’m going through, I like to sit down and unwind with a puzzle of some kind to keep my mind stimulated but relaxed at the same time. 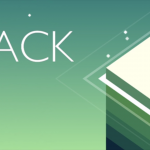 During my time here at AppAdvice, I have probably gone through most of the puzzle games on the App Store, but I can’t help but get drawn to new ones that come out each week. When I happened to come across Roofbot listed in the “New Games We Love” section (a bit buried under all of the Halloween stuff), I knew it was something I had to get into my hands. 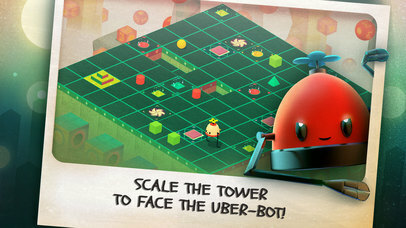 In terms of visuals, Roofbot knocks it out of the park with the gorgeous, isometric perspective graphics. The game starts out with some opening scenes that explain the situation, and these are beautifully drawn and animated. The levels themselves feature zen-like rooftop architectures that are composed of ever-changing tiles, and some elements make me reminisce about Nanuleu, which I don’t think is a bad thing (games inspire other games). The angled perspective makes it easy to see everything that is happening on the screen and also gives it a nice layer of depth. 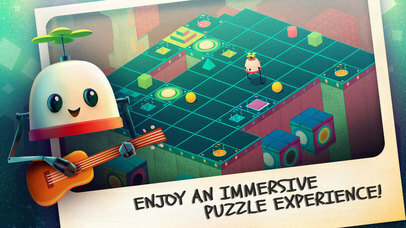 The colors in Roofbot are bright and vivid, and the light particle effects are definitely eye-catching. I also appreciate all of the fine details in the backgrounds of each stage, as you get the sense that each rooftop is different from one another, so it’s always something new to look at. The animations are smooth and fluid with no lag on my iPhone 7, and the soothing, ambient music is rather immersive. The bubbly sound effects are also a delight to hear. Overall, Double Coconut did a fantastic job with the game’s audio and visuals. 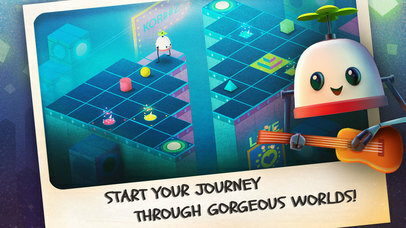 Like many other puzzle games, Roofbot is level-based with players clearing previous stages in order to advance to the next one. At the moment, there are five different chapters that have 20 levels each. So for the price of entry, you’re getting a total of 100 challenging puzzles that only get more intricate and complex as you progress. 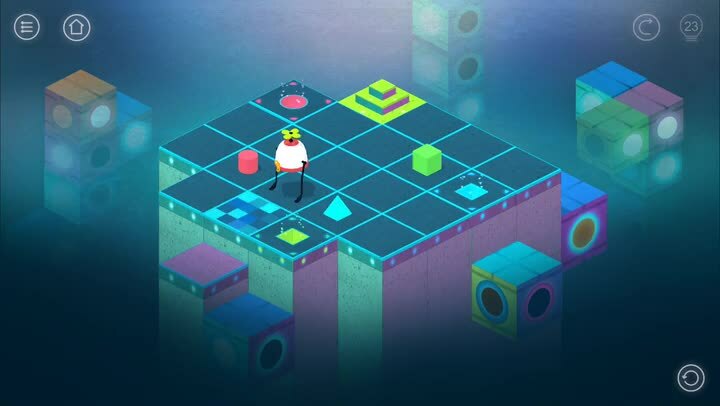 The goal in each puzzle is to reach the glowing portal tile at the end, but the tile itself can only be lowered by getting the energy objects into their proper slots. While it sounds easy, the truth is that the game is more complicated than that, because the architecture of the roof changes as you move along it, more energy shapes are introduced, and new game mechanics (like portals) are thrown into the mix. This means that each move you make will either take you to the goal or trap you on the roof, so tread carefully and think about each move before you make it. Controls in Roofbot are simple and intuitive. To move your robot, just swipe your finger in the direction you want to go in. While the tutorial makes it look like you can just do one single swipe to move along until you hit a dead end, the truth is you just move one square at a time. 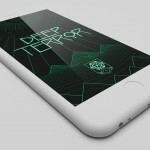 You can also swipe anywhere on the screen to move, not just on top of the robot, so it’s easier for one-handed play. 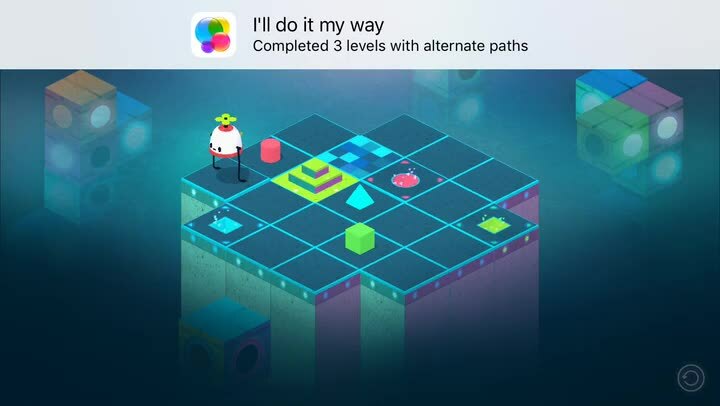 But again, make sure you think about your moves carefully, so don’t just swipe quickly, otherwise you may find yourself trapped as the tiles sink behind you and leave no clear path forward. And since there is no scoring mechanism or time restriction, you can take your time and play the game at your own pace. If you ever get stuck, the game offers a generous amount of hints from the get-go. Using a hint will reveal the path you should take for one energy ball, but you’ll have to use another one if you are still stuck. The game initially gives you 25 hints and forces you to use one as part of the tutorial, but it’s still much more generous than other games I’ve tried, where you only get like five hints or some single digit number like that. 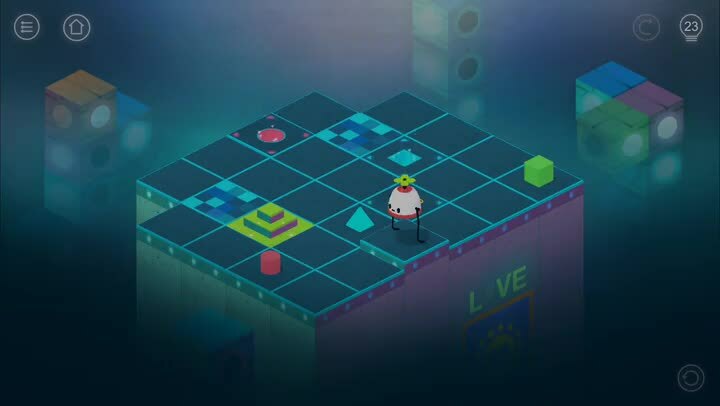 So far, I have been enjoying Roofbot, even though I’m still in the early stages of the game. I am in love with the graphical style and the audio is delightful. The controls work well, though I did make a mistake every now and then because it seems a bit sensitive to touch, but thankfully there’s an undo button. The game’s difficulty level increases at a gradual pace, so it doesn’t get too difficult too fast, which is always great, making it good enough for the entire family to enjoy. I just wish that there weren’t in-app purchases for hints, but at least you get a good amount to start with (hang on to them — persistence is key to solving levels). 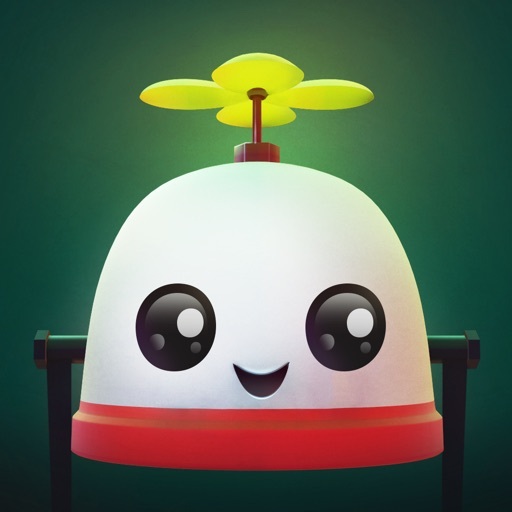 I highly recommend giving Roofbot a try if you are looking for a fun, cute, and challenging puzzler to check out in the upcoming days. 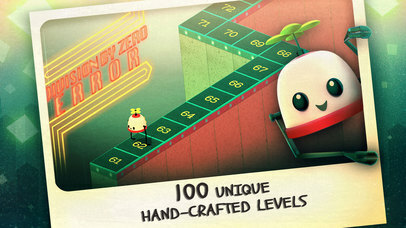 You can find Roofbot on the App Store as a universal download for your iPhone and iPad for just $2.99. There are in-app purchases.